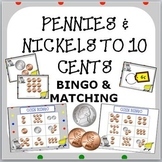 -14 different coin bingo cards -Has both heads and tails of each coin on each card -Played just like regular bingo or connect four. I print a couple extra cards and cut them apart to use as the call cards. First student to make a line wins or 4 corners or frame wins. 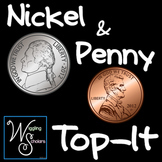 Pennies, Nickels and Dimes--oh my! 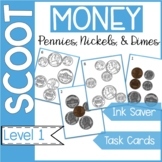 Print, laminate and cut apart money cards. 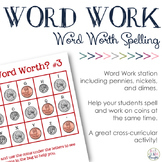 Students will count a combination of pennies, nickels, and dimes up to $1.00 on cards and match them with the correct money match. Students count combinations of dimes, nickels, and pennies. They cut out and glue down the corresponding price tags. I use this as an independent center after teaching Everyday Math Unit 6 Lesson 9. 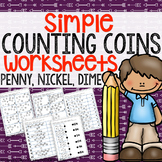 It gives students extra practice counting familiar coins with the addition of quarters. I included the Hairy Money picture at the top to help kids that struggle with coin value. I front to back the worksheet.